MYRTLE BEACH, SC (WMBF) – Hunter Renfrow, the Socastee native who caught the game-winning touchdown pass to give Clemson a 35-31 win in the national championship, is featured on the cover of the latest issue of Sports Illustrated. Monday's win gave Clemson its first football championship since 1981, and the second in program history. 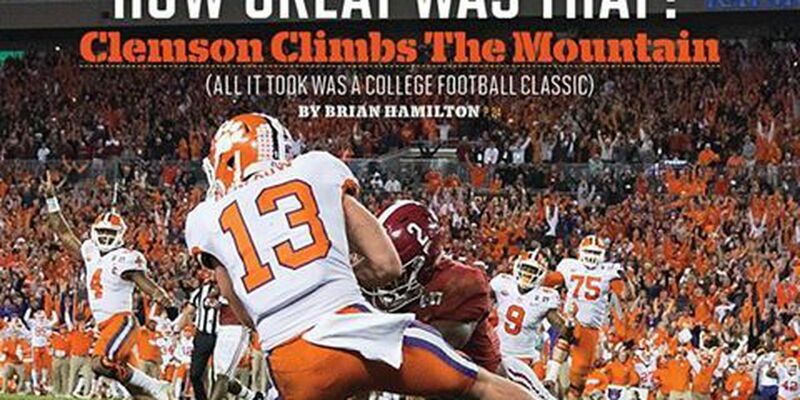 The magazine cover shows Renfrow, number 13, in mid-air as he caught the touchdown pass in the end zone, with the words: "How great was that? Clemson Climbs the Mountain" under the title. Sports Illustrated posted the magazine cover to its Facebook page Tuesday morning. Renfrow caught ten passes for 92 yards and two touchdowns. He has four total touchdowns in the last two national championship games.